The two molecular structures found in an enantiomer have different effectiveness when used as drugs, even though their chemical properties are similar. One molecular structure can be effective, while the other can trigger serious side effects. It is therefore important to select the desired molecular structure for chemical conversion when synthesizing drugs. 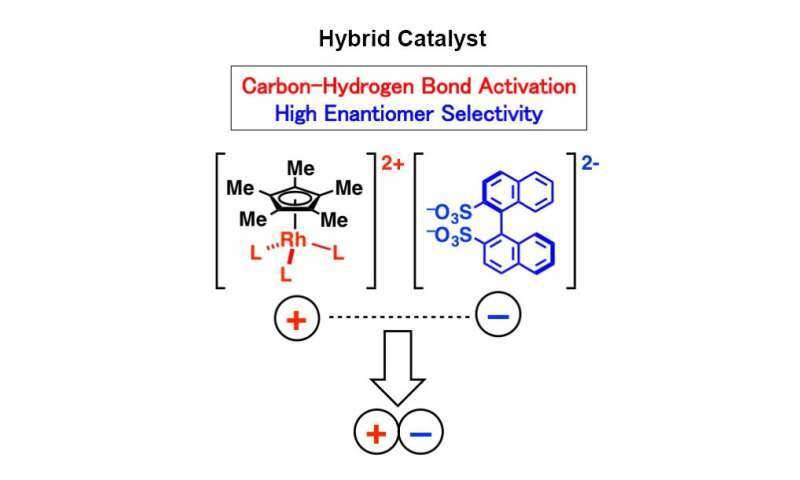 In addition to manufacture medicines with less waste, it is necessary to have the chemical conversion occur only at a desired carbon-hydrogen bond with the use of catalysts. To fulfill these two requirements, scientists have been using expensive rhodium catalysts made in complex, multi-phased production processes. The limited availability of such rhodium catalysts has made it difficult to apply them for industrial use.